Nebraska had over 80 prospects on hand for this weekend’s annual Red-White Spring Game. 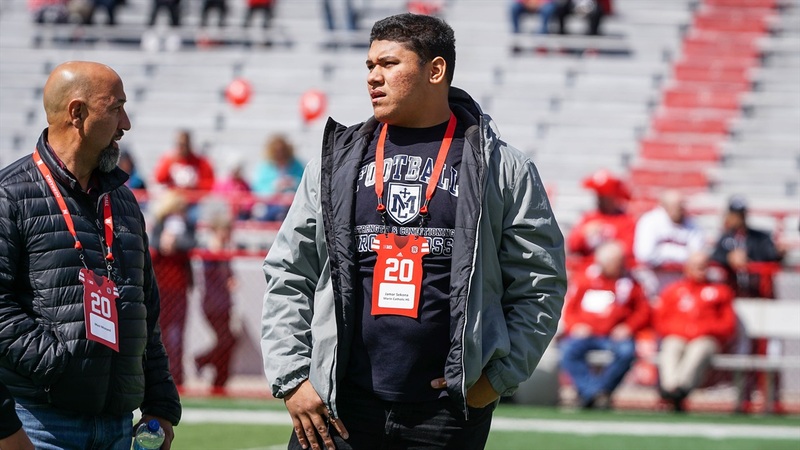 One of the biggest (literally and figuratively) targets in attendance was 4-star (HV Rating: 91.0) defensive tackle Jamar Sekona‍. The defender from Greenbrae, California, made the trip with his high school coach, Mazi Moayed.